We scoured the capitals along the east coast of Australia yesterday for fantastic, family-friendly activities to do in the over Christmas. Today, we turn our eyes to every other state capital in the country to find out what's out there for those of you in Adelaide, Perth, Hobart and Darwin. City centres in all major cities put on their best Christmas outfits every December; pack up the kids (or leave them at home if you're doing last minute gift shopping) and head in to see what's on offer. From what we can tell, it's going to be a truly magical holiday season! Image: 'Christmas in the City' app. All December. 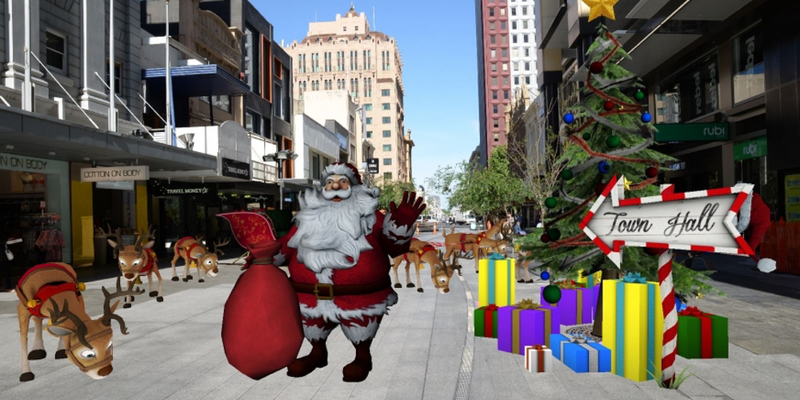 Kids can see Santa and his reindeer in various well-known locations on a specially-designed app! Families simply download the free ‘Christmas in the City’ app, point their smartphone at the pavement stickers around town, and watch as their on-screen surroundings fill with Christmas magic. 6 December, 2 pm - 4 pm. Grab yourself tickets to the Lord Mayor's Christmas Gala Concert at King William Street. 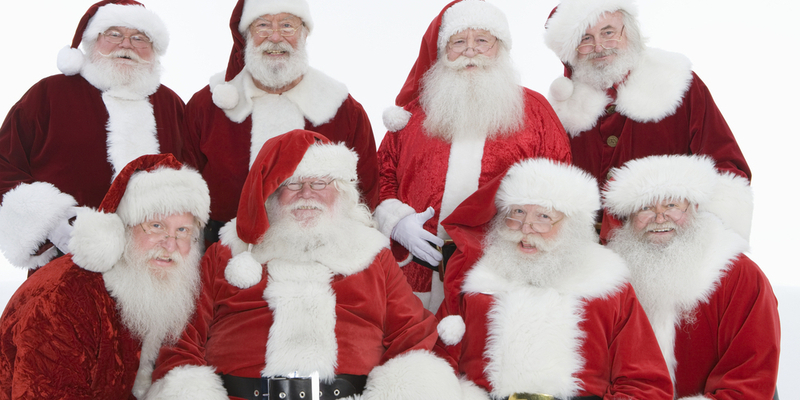 A visit from Santa and his elves is on the cards, as well as performances from choirs and string orchestras to jazz bands and Bavarian dancers. 12 - 13 of December, 10 am - 4 pm. Flinders Street will be transformed into a foodie haven for the Gourmet Goodie & Christmas Hamper Market. It'll be overflowing with mouth-watering delicacies from local suppliers and will be the best place to pick up some indulging festive treats. Image: Christmas Nativity at Forrest Place. Now - 20 December. The Aquarium of WA at Hillarys Boat Harbour will be the home to a very special Christmas character this season—Scuba Santa! Watch him swim with sharks, sting rays and turtles at the aquarium, and see if he can retrieve all of the hidden underwater presents before his journey on Christmas Eve. Now - 10 January, at 7.30 pm and 8.45 pm. All aboard! Float up Perth’s canals for a the perfect view of the magnificently illuminated homes along the shore. Run by Mandurah Cruises, their affordable Christmas Lights Cruises offer the ideal atmosphere for singing along to your favourite carols. 21 December - 23 December, 6.30 pm - 8.30 pm. 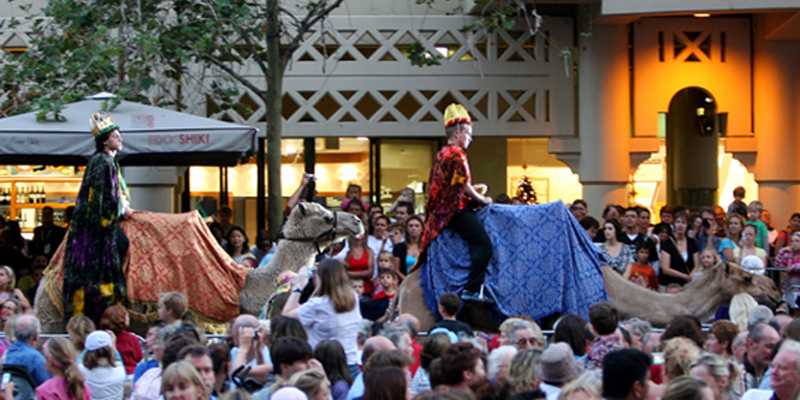 For a more traditional experience, watch the Christmas Nativity one evening at Forrest Place. A production with over 100 performers, live animals and incredible costume designs, the Christmas Nativity can be a welcome 'back-to-basics' experience if you've had a long day of lights and presents. 5 December, 9.30 am - 4.30 pm. Do you have a guinea pig? 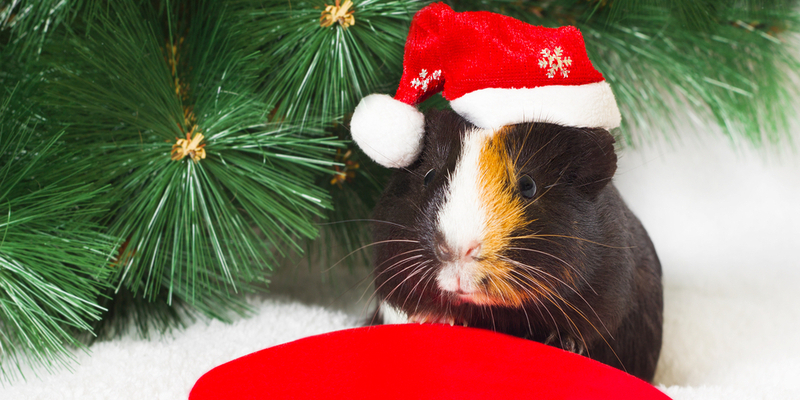 Try something a little different (and cuter) this holiday with a visit to the Christmas Guinea Pig Mega Pet Show. Make some adorable little outfits for the fancy dress class and enter them in the big race! 13 December, 9 am - 1 pm. Head down to the Police Court Complex for the Hobart Holiday market. With 70 vendors, two gymnasiums and and a whole lot of fantastic gifts, you'll find a present for even the pickiest gift-receiver (or maybe even a little something for yourself)! Every night in December. Who says that it doesn't snow in Australia, it does in Dawin! Come down to the Darwin Waterfront and see the main entrance as a Tropical Waterfront Wonderland, with lights and a snow machine galore. 13 December, 11 am - 2 pm. The family friendly Santa Fest is on at the Darwin Waterfront! Santa will make an appearance at the Wave Lagoon, handing out treats, and everyone can enjoy the disco party, dance competitions and Christmas crafting. Tell us which events you've been and seen this Christmas and which was your favourite! We want to know what was the biggest hit with the kids.